Level 2- Practice Enhanced Precautions for people traveling to certain regions in South America, Central America and the Caribbean where Zika virus is an ongoing health treat. 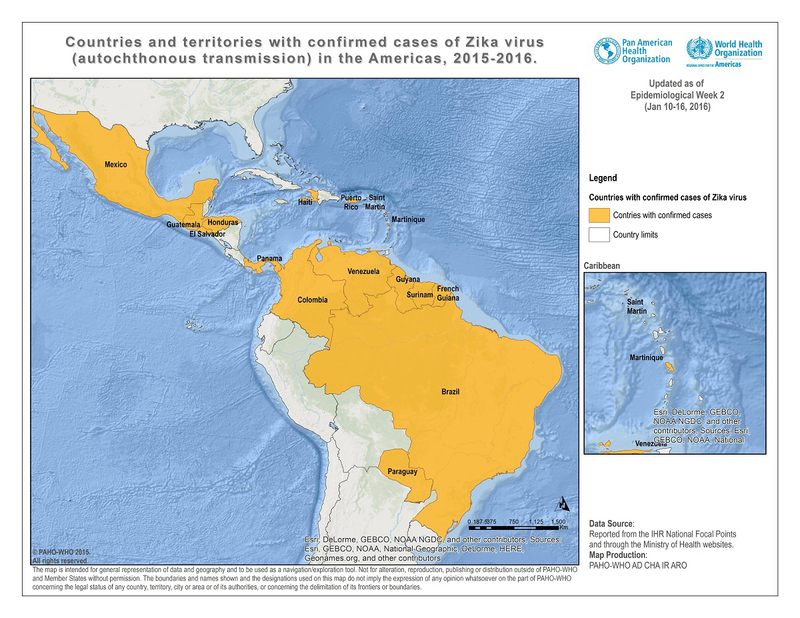 Brasil, Colombia, El Salvador, French Guinea, Guatemala, Haiti, Honduras, Martinique, Mexico, Panama, Paraguay, Puerto Rico, Surinam and Venezuela are the countries pointed by CDC where Zika cases had been confirmed. This level 2 alert follows the reports in Brazil of microcephaly and other pregnancy outcomes in babies of mothers who were infected by Zika virus while pregnant. Additional studies are needed. Because Zika virus is spread by mosquitoes, health authorities recommend to travelers to protect themselves to prevent imported cases and further transmission. In May 2015, the first local transmission of Zika virus was reported (which means mosquitoes in the area have been infected by Zika virus spreading it to people). The most common symptoms of of Zika infection are: fever, rash, join pain and conjunctivitis (red eyes). The disease is usually mild and lasting for several days to a week. One in five people infected become ill or notice the symptoms. Zika virus is transmitted to people through the bite of an infected Aedes species mosquito. These are the same mosquitoes spreading dengue and chikungunya viruses. Those mosquitoes are aggressive day time biters either indoor or outdoor. They typically lay they eggs in standing water like: glasses, bowls, animal dishes.